A Lannister always pays his debts. Raise the standard of one of the Great Houses of Westeros and wage a war to claim the Iron Throne with house banner based on HBO's hit series Game of Thrones! 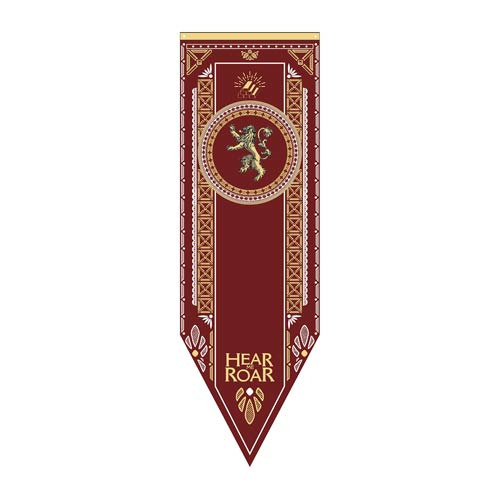 Made of fabric, the Game of Thrones Lannister Tournament Banner measures approximately 60-inches tall x 19 1/4-inches wide and is ready for display. Ages 13 and up.